Peter Eggenhuizen has been self employed since 1985. Peter owned a successful landscape business on Sydney's Northshore and was as a licensed landscape gardener for many years, he then expanded his business into earth moving, and sold the business to move to Queensland. 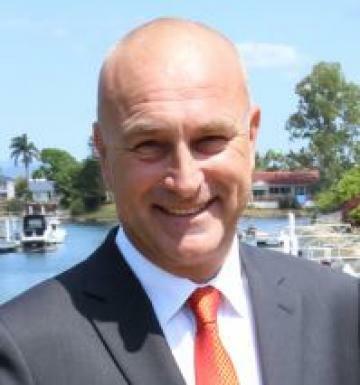 Peter has been involved in Real Estate and Property investments since living in Queensland, working for a national company in asset planning since 1998. Peter has always been involved behind the scenes in the real estate sector, while continuing other business interests. Platinum Edge Properties came about when Peter thought there was a need in the industry for good old fashion values, trust and a firm hand shake. His vision for Platinum Edge properties is to create a company "Where two or more people are dedicated to a common goal while working in a spirit of harmony". This large, perfect 811 m2 corner block has two street frontages and is cleared ready for your perfect home. The land is situated on the top corner block, giving it AWESOME views over North Beaudesert. If you're ready to build, pick your beautiful home, as this block is ready to go! Close to the Beaudesert town centre, the new Catholic school and local attractions. Check it out now! Just add rain !! for beautiful green rolling hills. In the heart of Knapp Creek Valley only 20 minutes south of Beaudesert and only a few minutes to Kooralbyn Valley sits this picturesque property. Excellent farm with full fencing, 10 large paddocks all with Dams with some spring fed. 2 x good bores pumping to tanks & troughs. Good cattle yards, holding yard with stables, large machinery/hay shed (Approx 18m x 18m) THIS IS A MUST TO INSPECT - BY APPOINTMENT ONLY CALL PETER TODAY 0413 744 450. Situated in the Beautiful Scenic Rim sits this masterbuilt home (Truly Majestic) with outstanding views of distant mountains and border ranges. Just over 8 acres of parklike gardens with an abundance of grass trees. The owner has done an amazing job with the gardens, the property boasts a large soak fed dam (that has never run dry) Perfect if you are an animal lover with an array of wallabies, kangaroos, echidnas, wild birdlife including king parrtos. Plenty of room for the horse lover too. Here it is! Right in the centre of Kooralbyn, 3.2 level acres, with town water, power and sewage. Large shady trees and a huge house pad already for you to build on now. This amazing block is bordered by approx. 250 metres of creek frontage and is truly one of a kind in Kooralbyn. Only minutes away from the local Doctors, Chemist, Foodworks, Take Away and Cafe. 25 Minutes drive to the Beaudesert CBD and approximately 80 minutes drive to the Brisbane and Gold Coast Airports. 7 Acre horse property fully fenced with lush grassy paddocks situated in the heart of Kooralbyn is just perfect, with a large dam, wide street frontage and walking distance to the equestrian fields. The land is also only minutes to the local Doctors, Chemist, Take Away, Foodworks and the Ramada Kooralbyn Golf Resort. With only 80 minutes drive to the Gold Coast and Brisbane this land will be a great future investment. Whether you need to downsize or just want a perfect weekender getaway......This is it ! From the road it looks like an American Barn, once inside, you wont want to leave. Beautifully presented Cabin like features, open plan kitchen, dining and lounge, very large bathroom and laundry. Garage could be converted into another room with an office already at rear. Features Include: AND YES ! it is council approved to live in. Come and enjoy what Kooralbyn Valley has to offer. BE QUICK !! This rural 111.4ha property is perfectly located in Kooralbyn Valley and positioned within other large acreage owners. Currently the land is a vacant rural parcel with road access and town water available. A fantastic acreage for lifestyle, farm-stay or cattle farming. 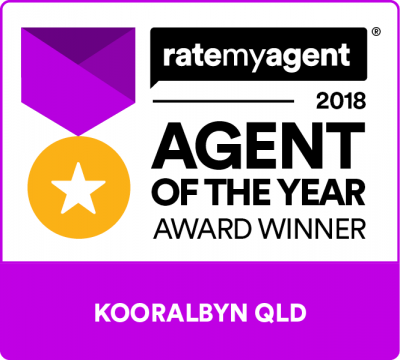 Approximately 20 minutes' drive to Beaudesert CBD, and only 5 minutes to the Kooralbyn Village Shops and the Kooralbyn Ramada Resort & Golf Course. This is a great opportunity to own this huge acreage now! Relax in the Country without all the work of looking after acres and acres. Great family home, complete with Ducted Air Conditioning, tinted windows, an awesome private outdoor alfresco dining area, great for BBQ's. All this on a lovely almost level 2,005m2 Block. Perfect exclusive location "Canousti West" with mains water and sewerage, private cobble road. Only minutes from local shops which include Doctors, Chemist, Hairdresser, Foodworks, Cafe and Take Away. LOCATION, LOCATION, LOCATION Rustic stables, tack room, storage sheds, feed shed, machinery shed & workshop, Round yard, wash bay, large fenced day yards, room for Equestrian Arena and a pool, separate driveway to rear of property. Plenty of room for horse floats or motor home. Features include: All within a short drive to local shops, chemist, foodworks, Golf Resort, Pub and Schools. INSPECTION IS A MUST - BY APPOINTMENT ONLY. Bakery or food preparation including a shop front. Location, location. This bakery is in the ideal location. In one of the most well know streets in Kooralbyn with off street parking available. This is the one you have been waiting for! Owners have moved and need to sell. Just a couple of minutesâ drive to the local Foodworks, CafÃ©, pub and Kooralbyn Ramada Golf Resort. Professionally set up with all council approvals. I can say I was very impressed with the professionalism shown by your company and yourself and how everyone was so helpful and nice. Very pleased with my sale, completely unconditional and sold within three months. Good one Peter, I do wish you all the best for the coming year.